Perfectly harmonised dining sets to complement the dining room. A dining table just isn’t complete without a set of dining chairs to go with them. 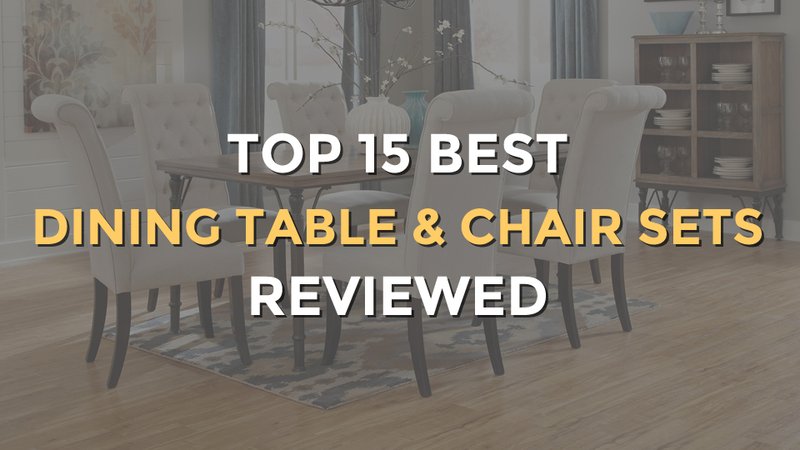 Our top 15 best dining table and chair sets takes out the guess work of mixing and matching, as they all come together. Offering two, 4, 6 and 8 seaters, you can be ready to wine and dine straight away. Made from solid wood, the Home Kendall dining table set is the perfect setup as a cosy solution for two people. Featuring a drop leaf fold down on both sides, the table can be easily tucked away when it’s not in use. This also means one side could be held up for one person to eat at the table during those busy breakfast mornings. 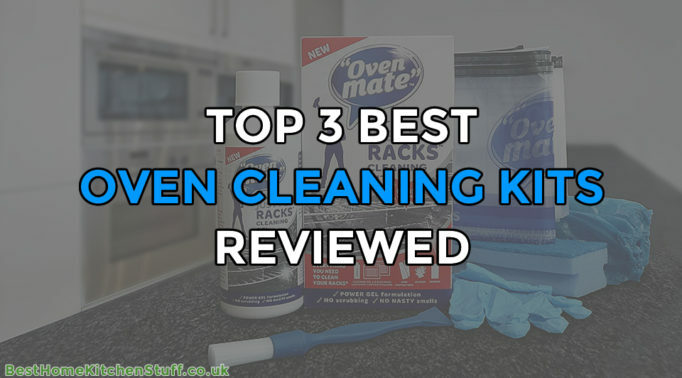 This comes complete with two chairs which are just as sturdy as the table and has padded fabric seats for comfort. 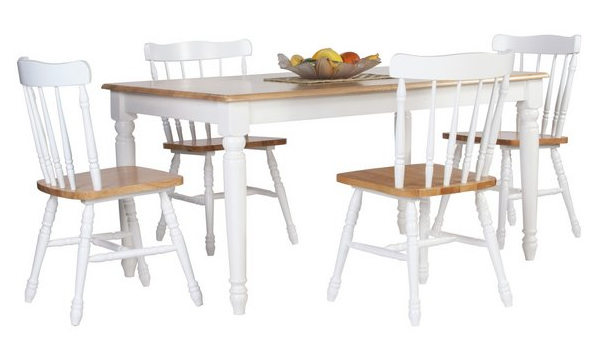 Available in a two tone beige and white or natural pine colour, this set is ideal for small homes. 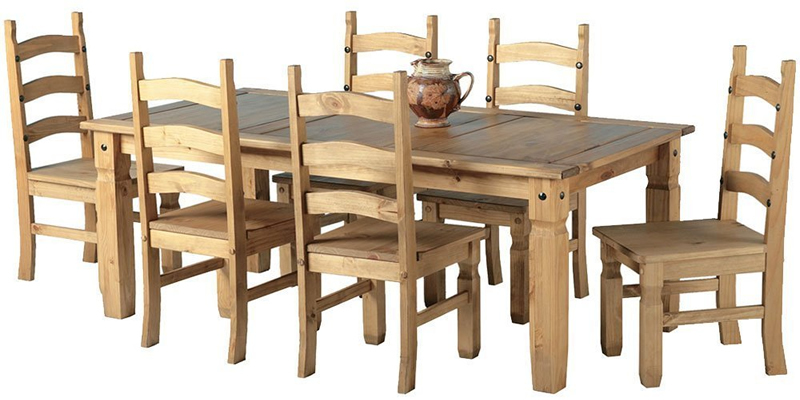 Sturdy and built to a good quality, it’s hard to go wrong with the Shadow dining table set by Andover Mills. The set comes with a table and four chairs in a pine and white two tone colour which seats one person on each side. 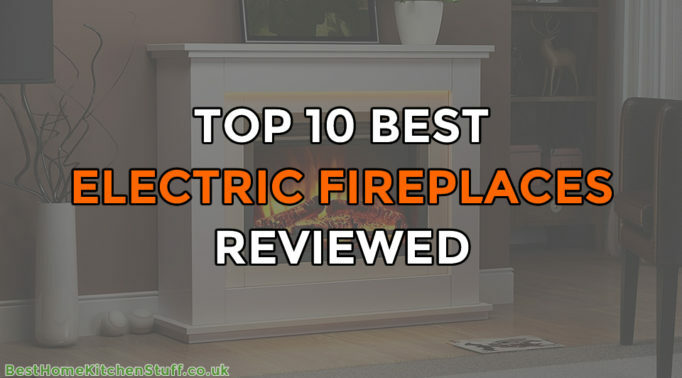 It will complement many home decors and instantly brighten any room. The Nevada Glass and Chrome dining table and chair set looks smart and expensive without the price tag attached. Designed with a sleek black glass top and a silver chrome criss cross frame, the table makes a stunning statement piece. 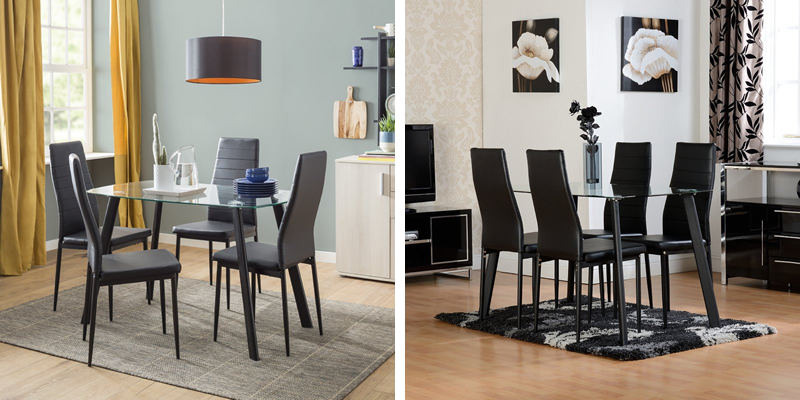 The four high back black faux leather and chrome dining chairs harmonises with the table perfectly. As it’s made from glass and metal, it’s expected that the table will be heavy making it sturdy. This set would be perfect for any home that holds dinner parties as it’s easy to clean the table and stylish. Instead of the usual drop leaf design, the Ikea Ingatorp and Ingolf extends with the extension panel. Stored under the table, this is within easy reach and it’s placed at the end of the table to give a seamless look. Having this extension is safest when there are young children around as there’s no overhang or risk of the table dropping. When this table is extended, it will provide enough room to seat up to six people making it one of the best dining table and chair sets for large families or extra guests when space is limited. It comes with four chairs and extra chairs can be purchased separately. Fitting smoothly together like jigsaw pieces, the Hygena Alena table set is a circular design table with four rounded chairs. When the chairs are all tucked under the table, the backrest slots in line with the table so it’s out of the way thus saving floor space. Each of the chairs have a padded black faux leather seat which goes nicely with the deep walnut finish of the table. 10. Hillary by Riley Ave.
Minimalist in design, the Hillary by Riley Ave dining table set consists of a simple clear glass table and four chairs covered in faux leather in a black or white colour. The chairs are designed with high backs and enough padding to provide comfort to sit in for ages. Some assembly is required which is quite straightforward. 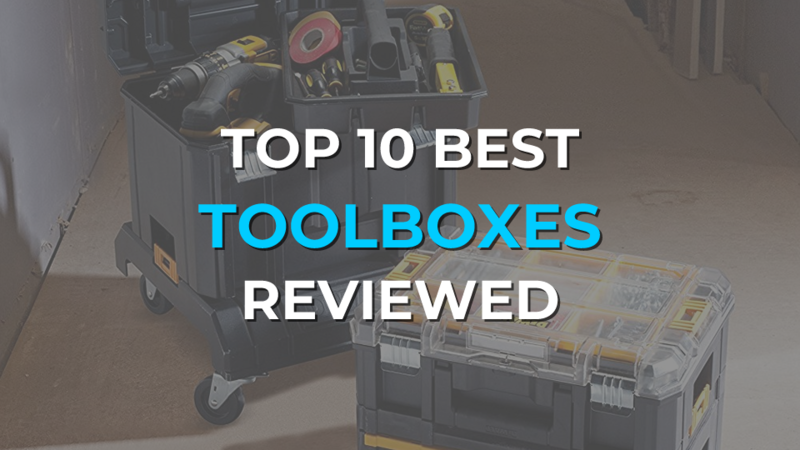 For the price, it’s affordable and can give style to a home on a budget. The Collection Chicago dining set has a design that gives off a fresh look in the room that it’s placed in. 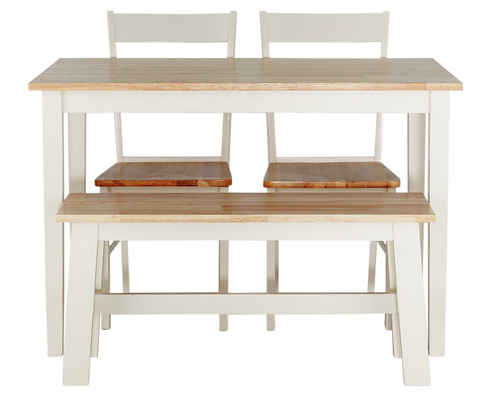 With a classic style of chunky white and pine coloured wood, this set includes a table, two chairs and a bench which tucks right under the table out of the way. 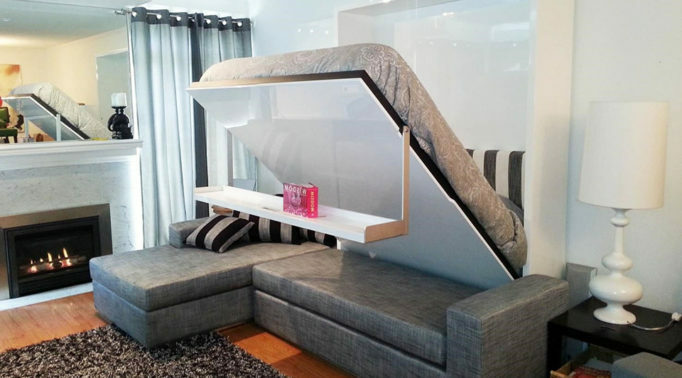 It seats four people in total and suits a contemporary home with a casual environment. Antique in design, the Heart of House Amberley table set features a large table with a length of 150cm. It comes with four chairs but the table can fit up to six people at a squeeze when needed. The furniture is made from solid wood which gives it its durability and finished in a two tone pine and white colour. Complete with the country style detail, this set will suit traditional style homes. 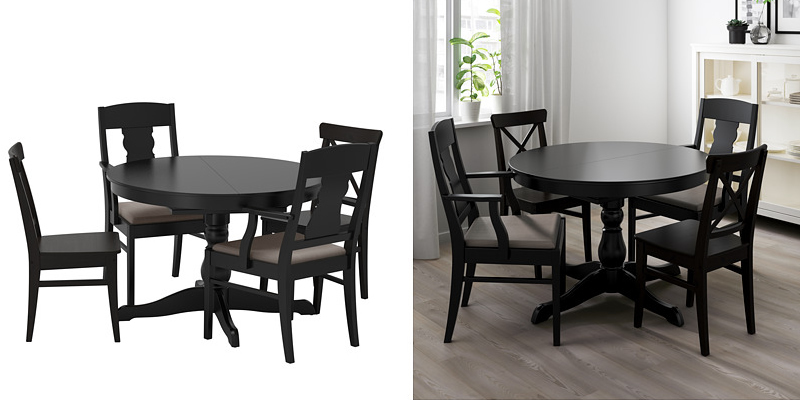 Simple to assemble, the Ikea Slahult, Dalshult and Leifarne dining set is a picture of minimalist style at its best. Constructed from steel, acrylic and wood, the table and four chairs are light but sturdy. The seat of the chairs are plastic but comfortable to sit in due to the clever ergonomically curved design to fit the contours of one’s bottom. The table has a subtle style to it which is the criss cross underframe with the extra support of the wooden bar running across the table in the middle. It’s a bit pricey given the materials used but the quality and stability of the set is enough to explain it all. The Sonny dining table set by Made features a clean and contemporary design with its rounded corners and angled legs. To give it a stylish twist, it’s finished in the contrasting colours of oak brown and white. Included is a long rectangular table and four chairs which are pretty compact as it tucks under the table neatly which is ideal in small homes. Extra chairs or stools can fit around the table for extra guests as well. Beautiful in style with a space saving solution, the Ryland table and chair set by Made is perfect for any fashionable home. Finished in a gorgeous walnut colour, the table and four chairs are paired nicely with the black metal frames. Rubber stoppers are at the bottom of the table legs to keep it sturdy. When there are extra guests, the table extends to reveal a black panel in the middle to give the table a sophisticated contrast, yet keeping in line with the overall design. Not only does it save space in the dining area, but its also simple but without compromising on style and quality. The Ikea Glivarp and Tobias set is designed with clean lines in mind with its straight edged and transparent glass top table. Holding this up is the silver chrome metal frame that’s also neat in design. As we can’t really be sitting on glass, the chairs are made from transparent toughened polycarbonate plastic to fit in with the overall glass design of the table. 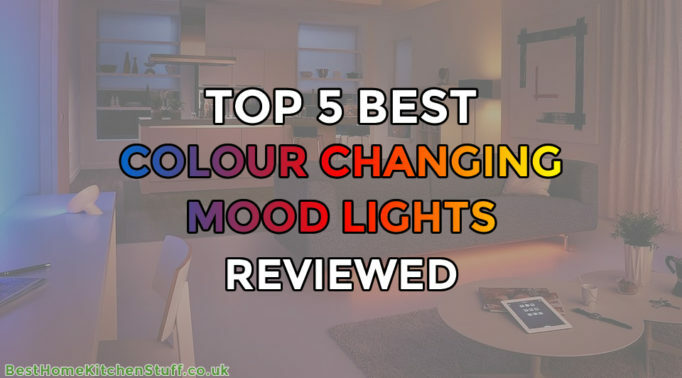 The overall look of this set is airy and provides lots of light to penetrate through to give the room a brighter look. 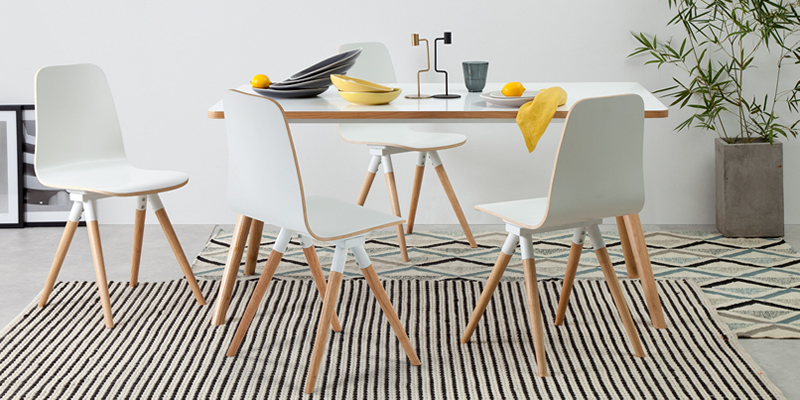 Environmentally friendly, this dining table set Leifarne and Tingby by Ikea uses less material than solid wood which also gives it a lighter weight. The table is big and fits the six included chairs around the table. Being light, the table can be moved around to create space when needed and the chairs can be stacked too. Finished with a wax sheen, the Mexican Corona gives off an elegant old world style. There are grooves along the table and black studs to complement the overall design. The large 6ft dining table comes complete with six chairs to accommodate a large family which is what this dining table set is all about. 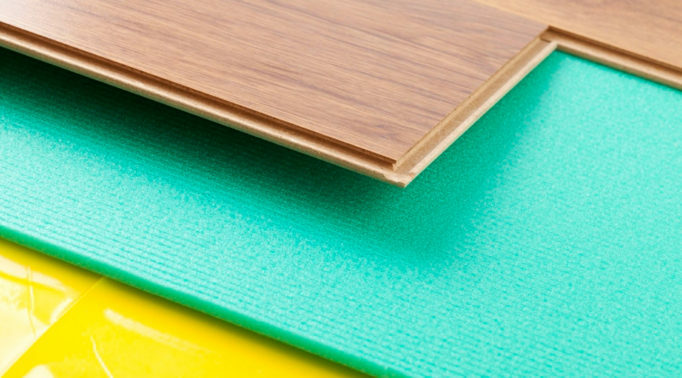 Constructed from pine wood, self assembly is required for this set but it’s easy. Solid and built to a good quality, this wooden table and chair set is charming, affordable and great for a traditional family home. Designed with contrasting materials, the Ikea Henriksdal and Stornas consists of a big wooden rectangular and six fabric chairs. The table has an antique look but the grey fabric chairs gives it a bit of a modern twist making it ideal for a contemporary and stylish family home. 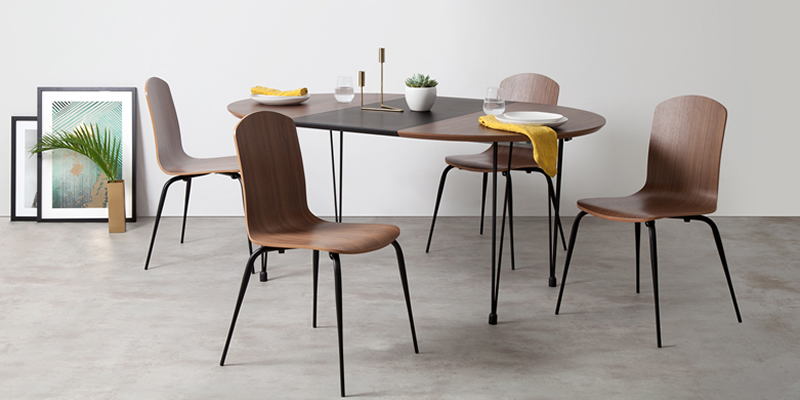 The six chairs fit in three’s along the long length of the table but it can comfortably fit in another two chairs – one on each end of the table. Or, to fit more people around the table, it can extend from its current length of 201cm to 293cm, making this one of the best dining table and chair sets for big dinner parties or families.